Porsche's new ad is all about sound. It shouldn’t come as a surprise that Porsche’s latest ad is about performance, but it’s probably not what you’re expecting. Rather than its driving features, the new “High Speed Orchestra” spot by German agency Grabarz & Partner touts the performance of Porsche’s Burmester High-End Surround Sound-System. To do so, the ad imagines an orchestra performing a perennial favorite, “Winter” from Vivaldi’s “Four Seasons” suite. Only, the musicians find themselves flying all over the place mid-performance, receiving no explanation from a confused conductor. The analogy is made clear at the end of the spot when the action shifts to a Porsche driver rounding tight curves, followed by the line, “Taking the concert around corners.” It concludes with a promise that the sound system is available in “almost every Porsche” and an abrupt genre shift. The 60-second spot will air primarily on social channels globally. 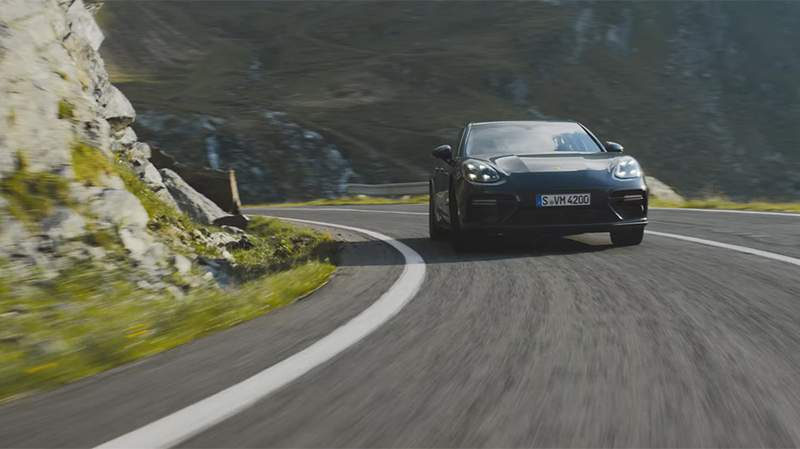 “We had a great time developing and realising a film that only a sports car manufacturer like Porsche can deliver with the required authenticity,” said Grabarz & Partner creative director Ralf Heuel.